Hon Fahie announced that the implementation of Information Legislation; Conflict of Interest Legislation; Campaign Finance Legislation; and Whistleblowing Legislation will create a victorious Virgin Islands because it will promote transparency. The Leader of the Opposition explained that if the government implements these legislations, the people of the Virgin Islands will have more opportunities to voice their opinions and assist in decision making. “Our forefathers taught us that you can catch more flies with honey than with vinegar. Let us get our house in order and stop using vinegar so that we can change the results and get to our desired destination during this generation. 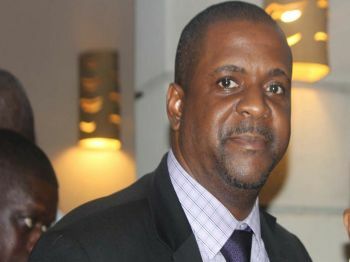 Remember for every positive action results in a positive reaction,” said Hon Fahie. Hon Fahie announced his first interest to see the accountability legislation passed during his first address to the Territory last year. 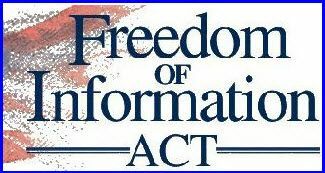 At the time, he placed emphases on the Freedom of Information Bill but the request for the Bill to be implemented in the Territory had fallen on deaf ears. We want ACTION on these pieces of Legislations Now!!! Again, I do not think we can trust the Dr. Smith administration to save us in that regard. Stay on this agenda; it will do you good, and leave the rest of the NDP mess along. Take Heed! I hope the people wake up, remember their past and get with the program before its too late. Andrew think we forget about his past ? How did he get the word Accountability to come out his mouth ? His past is so checkered it ain't even funny! Hope he has the "ability" to "Account" for the waste of money with the dirt pile across from West End Poo Poo Station! Ahh shut up. that story old now. currently as well as previously. Nothing nada to show for mone alloted by the Gov for District One. If one representative can show how his district money is spent is Fahie. You must be live in a well. Fahie has the HLSCC Transportation system to the 1st District; the after school home work study programme and plenty more. So please do proper research and post factually not out of hatred. Fahie past is better than most who are elected. He survived the worse political attack years ago on allegations organized by the same ndp in the background. However if there's one elected minister worked for the people's best interest it has and continues to be Fahie. So talk all you want he will prevail with or without mischiefmakers like you. Why do we need or think that legislation is the answer to our problems.. How about simple honesty and decency? Hon. Fahie don't mind the noise. You are good man and a good leader. You too puzzled to understand anything with sense so take a seat. vote the incumbent NDP out.